Award-winning veteran writer joins masthead. New York, NY—January 12, 2015—The Nation, America’s oldest weekly magazine of politics and culture, today announced the appointment of David Hajdu as music critic. In his new role, Hajdu will write features for the print edition of the magazine and blog regularly at TheNation.com: His first post will be coming soon. “Whether writing about jazz or classical music, comics or cool, David Hajdu is a writer—and listener—of great range, sensitivity, and depth, and we are delighted that he is joining The Nation as our music critic. I can think of no better critic to pick up the baton once carried in our pages by Nat Hentoff and Edward Said,” says Nation editor and publisher Katrina vanden Heuvel. “I’ve admired The Nation from a short distance for years, and I know how lucky I am to have a publishing home where intellectual rigor and seriousness of purpose are the mandate. I hope I do okay,” adds Hajdu. Formerly the longtime music critic for The New Republic, Hajdu is a professor at the Columbia University Graduate School of Journalism and has written on the arts for numerous publications, including The New York Times Magazine, The Atlantic Monthly, The New Yorker, The New York Review of Books, Rolling Stone, and Vanity Fair. 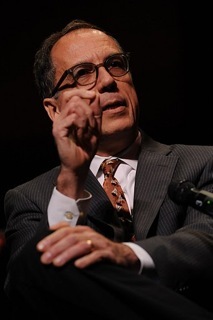 As an editor and magazine writer, Hajdu has been a finalist for the National Magazine Award several times, and his articles and essays have been selected for a number of anthologies, including Best Music Writing, Best American Magazine Writing, The New York Times Arts & Culture Reader, and Best American Comics Writing. Hajdu is the award-winning author of four books – Lush Life: A Biography of Billy Strayhorn; Positively 4th Street: The Lives and Times of Joan Baez, Bob Dylan, Mimi Baez Fariña and Richard Fariña; The Ten-Cent Plague: The Great Comic Book Scare and How It Changed America; and Heroes and Villains: Essays on Music, Movies, Comics, and Culture. He is a three-time finalist for the National Book Critics Circle Award and two-time winner of the ASCAP Deems-Taylor Award. Hajdu is presently at work on a history of popular music, to be published by Farrar, Straus and Giroux. In recent years, Hajdu has also been increasingly active as a songwriter and librettist for concert music. He lives in Manhattan with his wife, singer and actor Karen Oberlin, and their family.